Octopus rinse, clean the outer film and gut guts. We put the octopus into the boiling water. Octopus cook for 30 minutes. At the outset, add pepper, thyme, parsley and bay leaves. Cut a lemon in half, squeeze the juice with water, then wrung put into boiling liquid. You can also pour the wine. We boil uncovered. 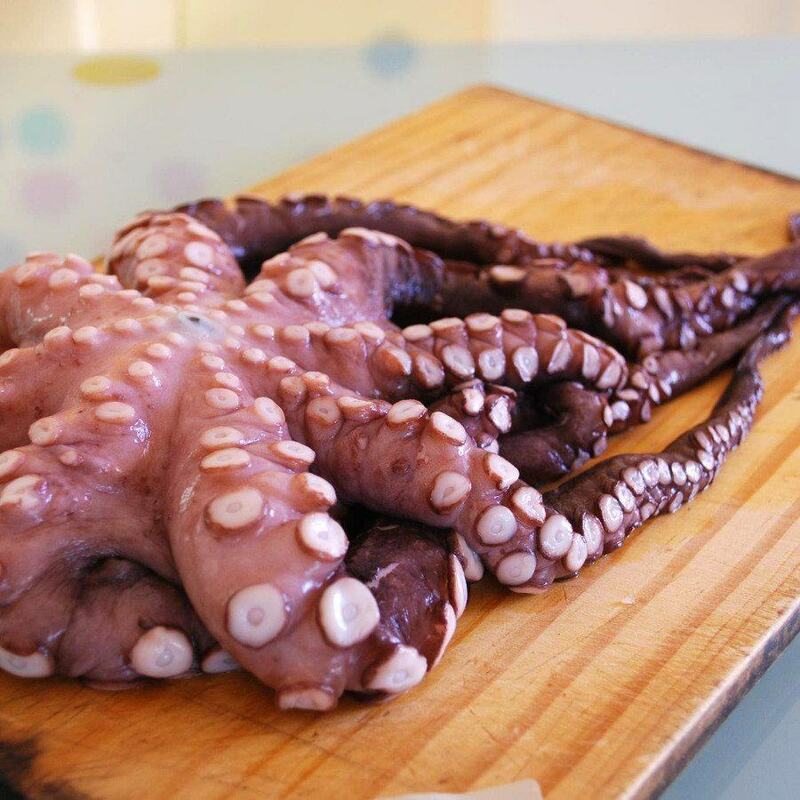 Boiled octopus is tender - can easily pierce with a fork. After cooking with salt water and then drain off and separated from each other tentacles of an octopus, head, cut into smaller pieces. Boiled octopus served separately pouring wine vinegar and olive oil and sprinkle with white pepper and parsley. You can also add it to salads, sauces or dishes with rice and vegetables.